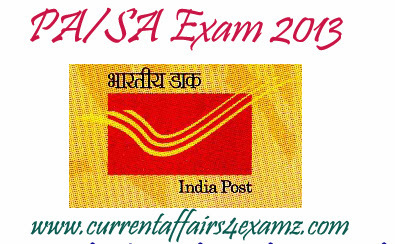 Friends..today TamilNadu Postal Circle has published the PA/SA Exam results 2013. 1. This is regarding declaration of Results for Direct Recruitment to the Cadre of Postal Assistants in Post Offices, Savings Bank Control Organization and Foreign Post and Sorting Assistants in RMS Divisions conducted by CMC India Ltd. for the vacancies of 2011 and 2012 of Tamilnadu Circle. The Aptitude Test (Paper I) was held on 21.04.13 and Computer/Typing Test for short listed candidates was held on 10/11th August 2013. 2. As per the Merit list given by the CMC India Ltd., received through Dte. D.O. letter no. A-34012/05/2011-DE (PART) dated 30.09.2013, list of candidates selected category wise is furnished in the Annexure along with Division/Unit to which they are allotted.